Despite nurse-midwife Patsy Harman’s own financial and personal medical trials, including her private battle with uterine cancer, she devotes herself to her patients’ well-being in all aspects of their lives. They, in turn, tell her intimate stories both heartbreaking and uplifting. should be a little classic." "Harman is an empathetic listener, and in this diary-like memoir, she draws us into complicated, messy and sometimes sinking lives. Patricia Harman, CNM, has published in The Journal of Midwifery & Women's Health and The Journal of Sigma Theta Tau for Nursing Scholarship as well as alternative publications, and is a regular presenter at national midwifery conference. Harman got her start as a lay mid-wife on the rural communes where she lived in the '60s and '70s and went on to become a nurse-midwife on the faculty of Ohio State University, Case Western Reserve University, and West Virginia University. The author lives and works in West Virginia and has three sons. This is her first book. Nurse-midwife Patsy Harman reveals at the very beginning of her memoir that she drinks "a little." Do you think it's okay, either as a self-medicating procedure or as a coping mechanism, to drink the way Patsy does? Do you think Patsy's insomnia is a medical condition, or a result of her emotionally demanding profession? How do you deal with the stresses of your profession or everyday life? Have you ever known a teenager who was pregnant? Were you or anyone in your family ever in the position Heather Moffett, T.J., and Mrs. Gresko find themselves in (p.4)? In West Virginia, teen pregnancy is fairly common, and many of these young women carry their pregnancies to term (p.59). Are there different community standards prevailing in your area? Is a pregnant teen likely to have an abortion or perhaps place a newborn with an adoptive couple or agency? Do you feel there is a stigma associated with people who choose to place their babies for adoption in your community? Is it greater or lesser than that associated with abortion? Do you think it takes great courage to place a child for adoption, as Patsy says (p.60)? How do feel about Nila's willingness to have more babies despite the steadily increasing amount of danger to herself and the infant, and despite the fact that she already has seven children and is separated from her husband (p.10)? How do you feel at the end of Nila's story (p.269)? Throughout her memoir, Patsy references the obstacles facing families in Torrington, West Virginia; clinics like her own, who will take patients even without insurance and can no longer afford to deliver their babies because of the exorbitant cost of malpractice insurance; and patients who must apply for a medical card, but can easily not qualify if not "poor enough" (p.18), and are expected to pay $700 for a family healthcare policy on minimum wage. What do you envision as the ideal healthcare system? Patsy tells us she was taught not to mix religion with medicine, but she can't help but say a small prayer for some of her patients (p.21). What do you think about religion's place in healthcare? What about the issue of touch, as when Patsy hugs or otherwise makes physical contact with the women she is treatingis that acceptable? Do you think that any emotional investment in patients' lives has any positive or negative affect on their care (p.143)? Patsy chooses to help Kasmar transition, saying, "If the patient had been born with a deformity, some error of nature such as a cleft lip or a clubfoot, someone would help her. To Kasmar, her female body is just as much of a mistake" (p.93). She might have refused to help Kasmar based on her own beliefs. There are, of course, many differing ideas on what's ethical in regards to health. Practitioners can refuse to perform an abortion, even for an at-risk woman, and pharmacists can refuse to provide Plan B based on their religious beliefs. People in the military can refuse to participate in combat if they are conscientious objectors, based on religious, moral, or ethical grounds. Have you ever had to put aside your personal biases, reluctance, or questions to simply help someone else, or do what is right for them, or right in general? Do you think a personal moral code trumps a societal or even legal one? 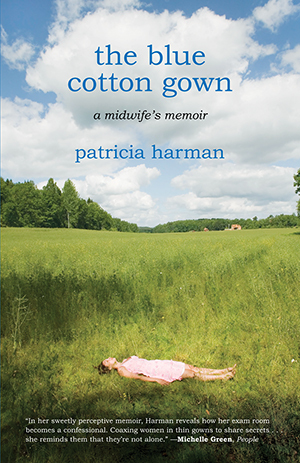 Patsy comments several times in the memoir about her patients' courage: Nila leaving the unhealthy relationship with her husband (p.13); the 20-year-old college student and her boyfriend placing their baby for adoption (p.59); Icy saying what she really believes (p.171); Marissa's optimism and humor despite all her health difficulties (p.214); Kasmar transitioning from a woman to a man in front of her colleagues, rather than simply leaving the state (p.220). What about her own courage and endurance? What do you think the book says about the human capacity to endure in general? The issue of sexual or physical violence against women first emerges in Nila's story. She leaves Gibby, but justifies not reporting him for giving her a black eye and continuing unwanted contact by saying, "We grew up together. You excuse a person you've known and loved this long. You understand them" (p.202). Then there is Penny, who was sexually assaulted by a gynecological resident when she was 17 (p.106). Patsy persists in trying to find the doctor, to stop him from assaulting again, up until the end of the memoir, but Penny quietly says, "I've forgiven the man. Maybe you haven't. It wasn't the worst thing to happen to me" (p.266). How are Nila and Penny both people of strength and weakness? Can you imagine letting a physical assault go unreported? There has been talk of placing a cap on malpractice lawsuits for many years, the argument being that lawsuits are driving up healthcare costs and driving doctors out of practice (p.110). Patsy and her husband have been forced to give up delivering babies because of the cost of their malpractice insurance. But there is also expert opinion that there are nearly 100,000 preventable medical errors in America per year. Do you think the peer-review committee that Tom discusses has the right to be tough on surgeons, or is the risk too high of driving apparently good doctors out, like Dr. Runnion? Have you also heard opinion that the medical insurance business is driving up premiums for increased profits, rather than out of actual need? Why do you think Patsy is so vigilant about her patients' health, but seems to neglect her own (p.168)? She even forgets to light the prayer candle right after she receives her own bad news (p.176), and later on she finds out that she has cancer (p.179). Is this common for people, do you think, to neglect themselves most? Is it more common for a man or a woman, or for someone in the medical profession? Patsy says, "I know that the removal of a woman's reproductive organs is the second most common surgery performed in the United States. Cesarean section is first. Each year, more than six hundred thousand are done. One in three women in the United States has had a hysterectomy by age sixty" (p.174). What do you think that says about the medical profession's approach to women's bodies, from minor cosmetic surgery to major invasive surgery? Tom seems not to see Patsy's hysterectomy as a crisis (p.174-175). Do you think Tom's attitude, especially as a male doctor, is reflected in the medical community at large and contributes to the high rate of hysterectomies? There also seems to be a lack of concern about the sexual pleasure of women; Tom is sure it'll be fine, Patsy knows it might not be. Is this cavalier attitude another reflection of a popular sentiment towards female sexuality in society? Compare Rebba's case (p.27) and Patsy's. Kasmar's partner Jerry is having a difficult time adjusting to Kasmar becoming a man (p.194). Marissa's husband can't deal with the major change in her health and leaves her, telling her "he hadn't signed up to marry an invalid" (p.212). Is it okay to leave a relationship when your partner makes or experiences changes that you feel makes you incompatible? Patsy says she tells her story about running away from home to her patients dealing with serious personal problems "because there was a time when I told no one" (p.127). Holly never told anyone about her daughter Nora until she met Patsy (p.19). Shiana couldn't talk to her parents or her fellow sorority sisters (p.35). But people need to talk about their traumas. Even Pappy at the trailer park scene of Aran's death, Patsy realizes "has been through a traumatic event too and needs to talk about it" (p.241). Do you think many more women keep all their problems to themselves and let them fester, possibly to the point that Patsy did? To the point that Aran did? What's the significance of people's general impulse to share their stories in life? the four women are flying with me" (p.113)? The American College of Nurse-Midwives (ACNM) estimates that soon one in ten babies in the U.S. will be delivered by certified nurse-midwives. Ten years ago, only 3 percent of births in the US were attended by nurse-midwives. Worldwide, midwives deliver more than two-thirds of births. In the U.S., endometrial cancer is the most common cancer of the female reproductive organs and the fourth most common cancer for women. There are a little over forty thousand cases each year. Each year, women experience about 4.8 million intimate partner related physical assaults and rapes. Nearly 7.8 million women have been raped by an intimate partner at some point in their lives. According to the U.S. Census Bureau, nearly 46 million Americans under the age of sixty-five were without health insurance in 2007, their latest data available.